Reflecting on her own experiences shattering the glass ceiling in the legal profession, Linda Kasonde shares her journey to leadership, while challenging other women to fulfil their leadership potential. 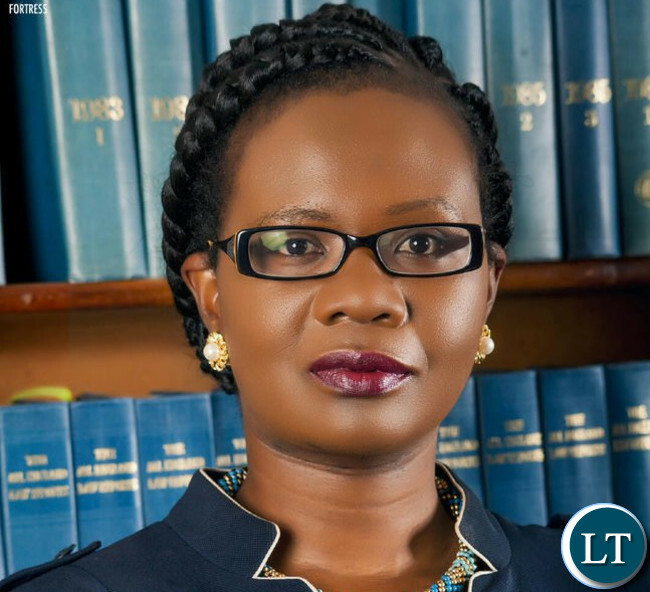 Linda Kasonde is the current and first female President of the Law Association of Zambia. She was admitted to the Zambian Bar in 2001. She has worked at the National Legal Aid Clinic for women and also in a renowned local law firm where she became a partner in 2009. Later, she became the first female lawyer in an established law firm to be elevated to the position of named partner in Zambia. In 2016, The Africa Report named Linda Kasonde as one of the people in Southern Africa to watch out for in 2017. She received the Zambia Society for Public Administration’s award in recognition to her contribution to the advancement of public service excellence in Zambia. She is also an Archbishop Desmond Tutu Leadership Fellow and an alumna of the U.S. State Department’s International Visitors’ Leadership Programme and an alumna of Harvard University’s ‘Leadership in the 21st Century’ programme. This talk was given at a TEDx event using the TED conference format but independently organized by a local community. Even her lips are shaped like a liar. Like HH. Impressive, more courageous than the current LAZ president by a stretch and a wonderful legal mind! We should have had more of her calibre in the legal profession. Women of Zambia, you do have what it takes.